Today was a whirlwind, and it started with Brunch in Berkeley at Rick and Anne’s. I got the tofu curry scramble vegan style, and it was perfect greasy brunch food. 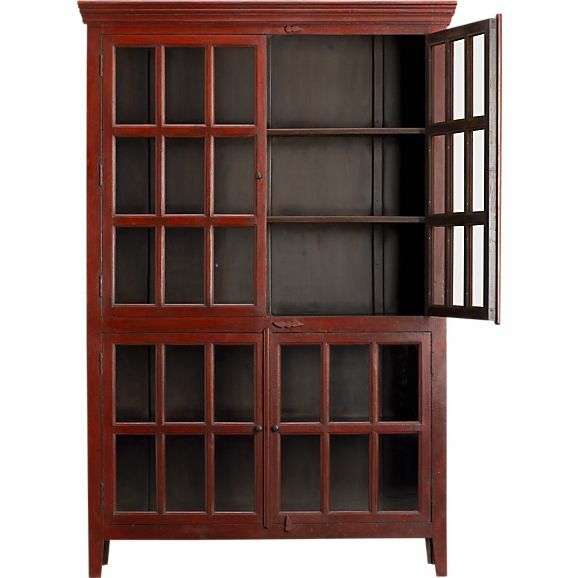 We left the store without purchasing this perfect cabinet over $400 off. We are both regretting this decision now and are waiting for tomorrow to hustle back and hope it is still there. The kitchen has almost no storage and my kitchen things as of right now are in droves on the floor. Pre heat oven to 350 F and grease a 9×9 (or 10×10) cake pan and set aside. In a bowl combine the flour, sugar, peanut butter, Earth Balance and salt. Work the mixture with your figures until it is fluffy crumbs. Don’t over work. Set aside, removing 1/4 of the mixture in another bowl reserved for topping the cake. In another bowl whisk the flax seeds with water until frothy, then add soy milk, vanilla extract, baking powder, and baking soda. Add this mixture to the flour mixture and fold until combined, not over working. 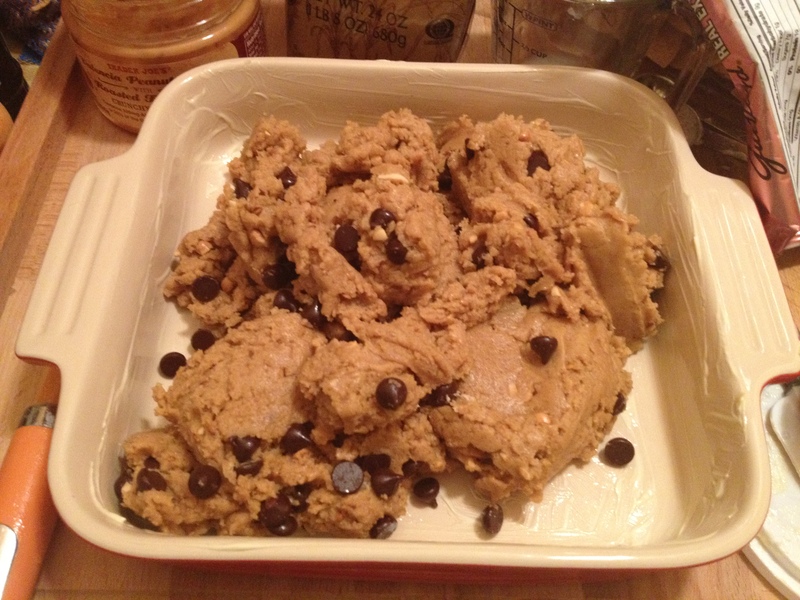 Add half the chocolate chips and combine. Top the cake with the reserve crumble and the remaining chocolate chips. Bake for 30 min.